There are plenty of sites where you can hire a social media consultant, but which one is the best? We analyzed over a dozen freelance websites to find the best options based on access to talent, cost, collaboration tools, and customer service. See our top six options, including our pick for the best site overall. Upwork (Best Overall) Businesses that need access to a large talent pool and advanced project management tools. Fiverr Business owners who need a platform to hire low-cost consultants for one-off projects. Freelancer.com Businesses that want to assign a small test project before committing to a longer-term consulting hire. CloudPeeps Business owners who want to choose from pre-packaged social media services. PeoplePerHour Small businesses that want to manage multiple consultants in one place. Thumbtack Businesses that want to connect with a local social media consultant for in-person meetings. The best places to hire a social media consultant are typically freelancer-specific online job sites with large talent pools and features and functions that make it easy to manage your projects with things like time tracking and invoicing. The best job sites available make it easy for you to find and work with qualified social media consultants at a reasonable price. 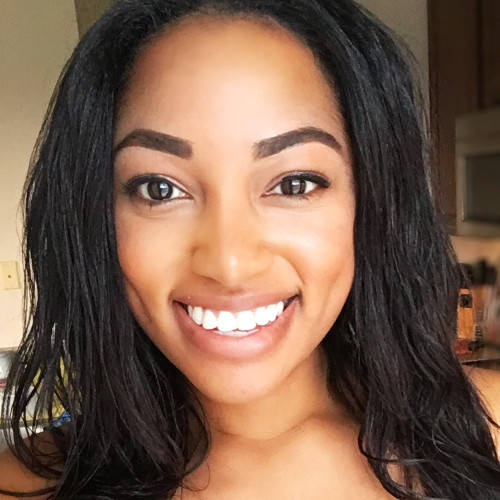 Access to Talent – We looked for sites that partnered with a wide range of verified talent and made it easy for you to connect with freelancers who specialize in a variety of social media services at different levels of expertise. Cost – Some sites charge fees upfront for connecting you to talent, others include it in the freelancer’s service fee. We made sure the price was fair and the freelancer costs could accommodate small to medium-size budgets. Ease of Collaboration – Each website we included makes it easy to connect with social media consultants. Some go a step further with an online platform to manage requests, communication, and invoices, as well as other project management tools. Customer Support – We looked for websites with strong customer service and dispute resolution so you have resources available if you run into any issues with your social media consultant. Based on the criteria above, we recommend Upwork as the best place to hire a social media consultant because of its large network of quality consultants and advanced collaboration tools. It’s widely known as one of the top freelancer platforms available and has social media talent that ranges from a novice level to expert, depending on your price and needs. Upwork is a global freelancing platform where businesses and consultants can connect and collaborate remotely. It’s our best overall because of its large talent pool of experts and advanced project management tools, including a messaging platform, time tracking tools, payment protection, and a free mobile app. Choose Upwork if you want to use one of the most reputable platforms to hire an expert-level consultant across a wide range of social media specialties at a reasonable price. Freelancer rates vary by consultant. You can pay on a weekly basis for hourly projects, or by project milestones for fixed-price jobs. Upwork charges a 2.75 percent transaction fee on each invoice. If you have more than $910 a month in freelancer payments, you can opt for a flat rate of $25 a month. 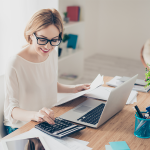 You can also upgrade to Upwork Pro for an additional 10 percent client fee on the invoice for your Pro project, plus a one-time $500 job search fee. With Upwork Pro, a talent specialist finds and vets their top social media talent for you, so you don’t have to spend time searching for talent yourself. Your talent specialist will present top candidate options for you to interview and will offer customer support as needed. You can browse through hundreds of freelancer profiles or post a social media job directly to Upwork. Once you choose a consultant, you’ll get access to online workspaces where you can securely send and receive files and communicate via chat or video, something offered by only the top platforms. Upwork’s Work Diary tracks billable time and records completed work and all payments, another unique benefit of Upwork. All of the freelancers on Upwork are verified through email verification, job success scores, and online skills tests. When you post your social media job, you can request a social media consultant who specializes in social media content development, account management, analytics, or paid advertising. Upwork matches you with top candidates based on your description, project type, social media targets, rates and availability. Upwork Pro means consultants are handpicked and vetted for your job. Upwork reviews individuals with 10+ years’ work history and great reviews, and then interviews them via video to ensure they’re a good fit for your project. You’ll select and hire your favorite based on their top picks. You can communicate with your consultant via chat or video and securely send files all through the Upwork platform. Their free iOS or Android mobile app allows you to collaborate from your mobile device. You can also access your invoices and transaction history, track work hours and completed work with Upwork’s Work Diary, and pay your consultant through the Upwork platform. I found Upwork’s collaboration tools to be some of the best. Plus, their payment protection plan means you only pay for work you authorize. The consultant that you hire on Upwork will be your main point of contact for any issues related to your social media projects. However, if you have an issue with your consultant or need assistance with the Upwork platform, you can use the Upwork Help Center to find helpful articles, submit a ticket via email, or use Upwork’s live chat. Phone support is available 24/7 Monday – Friday with the exception of Friday from 7 a.m. to 9 a.m. PT. Upwork has a large pool of talent, but most of the consultants available will not be in your location. If you want to work with a consultant that you can meet with in-person, filter results by location to see if there are consultants available. Or, consider using Thumbtack, which can connect you with consultants in your area. Upwork users typically enjoy its security features like verified payment protection, its time-tracked work platform, and the rating system that allows clients to see which freelancers are highly-rated. Some users feel that Upwork does not have a proper vetting process for the skills of the freelancers in the platform. Read our full Upwork review page for more details. Visit the Upwork website to get started by browsing social media consultant profiles. 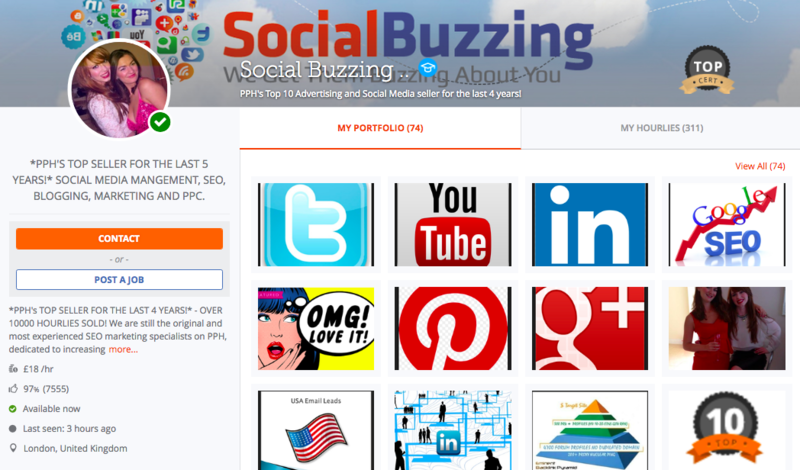 Register a free account to post your social media consultant job right away. Fiverr is the world’s largest online marketplace for freelance services, with social media consultants available for social media strategy, profile setup, content creation, ad campaign creation, and more. 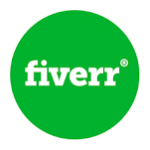 Fiverr’s jobs start at just $5, making it perfect for one-off jobs at a low cost. Fiverr is best for businesses that need quick, low-cost social media support like image creation or ad targeting. With social media jobs available for as little as $5, Fiverr is the perfect place to find a consultant for small tasks like creating images for your Facebook Business Page or optimizing a Facebook ad. 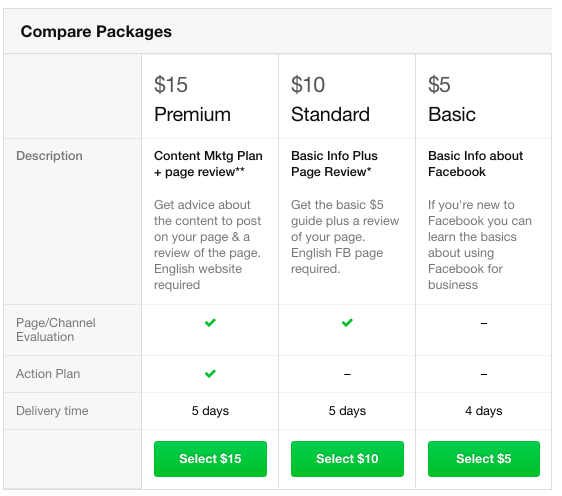 Fiverr charges businesses a processing fee of $1 on transactions up to $20, and 5 percent on purchases above $20. With Fiverr, you have access to hundreds of low-cost social media consultants you can hire for one-off projects, something that the platform does better than the other options. Services include social media strategy, profile setup, content creation, and ad creation and optimization. Fiverr lets you filter freelancer profiles by specialty and gives access to freelancer work samples and reviews. You can post a job to get offers or choose from a consultant’s listed services. Fiverr has over 500 social media consultants available for hire. Find the right fit by entering your price range and selecting the social media channels you want support in, including Facebook, LinkedIn, Instagram, Twitter, YouTube, Pinterest, and Snapchat. You can also filter by desired services like page/channel evaluation, action plan, full-time engagement, post scheduling, page setup, ongoing management, page optimization, website integration, and analytics. If you want greater confidence in the quality of consultants, you can also filter results to show PRO gigs. PRO gigs are jobs that are typically at a higher price point, but PRO consultants are hand-selected, verified talent with proven results. PRO gigs also come with 24/7 VIP customer support. You can contact social media consultants directly through Fiverr before committing to working with them. Once your consultant begins work, you can message and send attachments directly though the Fiverr platform, like Upwork. All payments are also processed directly through Fiverr. In most cases, the social media consultant(s) you choose to work with will be your primary point of contact, as they will be the most familiar with your social media project. Fiverr also offers customer support through their user forum and via request from their website available 24/7. If you have any issue with your freelancer, you can submit a request for support on your order from their website. Given its low entry price, Fiverr is commonly used to support one-off services, rather than ongoing projects. If you are looking to work with a social media consultant on an ongoing basis and want advanced collaboration tools, Upwork will probably be a better fit. Fiverr users typically enjoy its easy-to-use interface and search tools that help businesses find a marketing consultant that matches their specific business need. Negative experiences came from interacting with specific freelancers on the site that did not provide the services promised. Read our full Fiverr review page for more information. Visit the Fiverr website to find a social media consultant who works within your budget and timeline. Refine your results to find a consultant that focuses on the social media support you’re looking for, and then contact freelancers directly to get started. Freelancer is a freelancing site with over 27 million registered users that charges a 3 percent fee per project. Freelancer has a unique feature where you can post contests and review submissions before you commit to hiring a consultant for a longer-term project. Freelancer is best for businesses that want to assign a small test project to see what a freelancer can do before hiring them for a bigger job. You can post a social media job to Freelancer for free, but in addition to paying your consultant your negotiated rate, Freelancer charges a 3 percent processing fee per project. If you want help selecting a freelancer, they have a service that helps you find top candidates for an extra $19 per job posting. With Freelancer, you can post a job or contest and receive competitive bids from Freelancers. Browse submissions, portfolios, and reviews to choose the consultant that’s right for you. Freelancer has a desktop messaging platform, as well as a mobile app, so you can collaborate on projects easily. Projects can be fixed-price with project milestones or hourly. You can make secure payments and contact Freelancer’s 24/7 support if any issues come up. Freelancer gives you access to hundreds of social media consultants. Find the right fit by filtering results based on skill, hourly rate, and online ratings. Or, post a contest to receive submissions for a small task, like creating a promotional Facebook post for your business, before deciding to work with someone. Similar to Upwork Pro, Freelancer also has a service called Recruiter Project, where a talent specialist will vet and recommend top candidates based on your job description. The Freelancer platform has its own messaging system that takes care of all communication, information, and file exchanges between you and your social media consultant. Freelancer has a time tracker so you know how much time your consultant is putting into your projects, and you can submit payment through the platform based on hourly work or project milestones. Freelancer also has a mobile app that allows you to check in on projects while on the go. Freelancer offers 24/7 live chat and email support, and also provides online support with step-by-step guides categorized into easy-to-find topics like “payments” or “contests.” There is no phone support. There is no phone number to contact customer support directly. If phone support is crucial for your business, Upwork has phone support available 24/7 Monday – Friday with the exception of Fridays from 7 a.m. – 9 a.m. PT. Users tend to enjoy that the Freelancer platform provides them with a convenient way to easily hire freelancers online and process their payments. Some users also mentioned efficient customer service. Negative reviews said that the site lacks processes to screen the quality of freelancers. Some users also complained about being charged unnecessary fees. Read our full Freelancer review page for more information. Visit the Freelancer website to learn more, post a social media job or contest, and connect with a social media consultant that’s right for your business. CloudPeeps is a newer freelancer marketplace and platform, founded in 2014. Unlike other freelance sites, CloudPeeps allows you to search by pre-set packages (roughly $20 per hour) like ongoing social media management or social media page makeovers. CloudPeeps makes sense if you are inexperienced with social media and you would like to find a social media package that fits your needs, rather than create a job description on your own. Pricing for CloudPeeps jobs is hourly, with social media jobs starting at about $20 per hour. Social media packages are either one-time costs or monthly costs, depending on if you choose a package with one-off or ongoing support. Processing fees are charged to the freelancers, not the hiring party. On CloudPeeps, you can search through freelancer profiles or packages. There are about 40 social media packages to choose from, with services including daily social media posting and monitoring, social media account setup, and strategy consultations. Or, post a job and receive hand-crafted proposals from CloudPeeps freelancers. You can create job agreements, send messages, receive invoices, and process payments through the CloudPeeps platform. As a newer site, CloudPeeps has a smaller talent pool than Upwork or Fiverr. There are about 40 social media packages and you can also browse through dozens of social media consultant profiles. You can filter profiles by location, availability, hourly rate, and ratings. If you prefer to post a job, social media consultants will submit proposals to you. You can send messages to social media consultants through CloudPeeps to learn more about their qualifications or communicate once you begin working together. You can also set up job agreements to set expectations upfront and receive and pay invoices through the CloudPeeps platform. 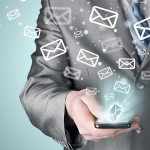 CloudPeeps offers email support and you can also request a call through their website. CloudPeeps has chat capability on their website, but the response time is longer than average at around five hours. CloudPeeps is missing some advanced collaboration tools like time tracking and mobile applications. As a newer platform, it also has a smaller talent pool than larger freelance sites. If you are looking for more advanced collaboration tools and access to more talent, Upwork is a better option for you. CloudPeeps currently has four success stories on their website that showcase businesses that have successfully hired social media consultants. One case study, for an educational games company, mentions that their social media following tripled since they started working with one of CloudPeeps’ freelancers. Visit the CloudPeeps website to browse social media consultant profiles or packages. You can also request an introductory call through their website to learn more about how the platform works. PeoplePerHour is an online platform that gives businesses access to thousands of skilled freelance experts in hundreds of different fields. PeoplePerHour has a platform called WorkStream that makes it easy to manage multiple projects and collaborate with multiple consultants at once. PeoplePerHour is a great option if you are considering hiring multiple consultants (roughly $20 per hour) to support your social media efforts and business growth. Posting jobs or browsing consultant profiles is free on PeoplePerHour. Rates for social media services begin at less than $20 per hour and will vary depending on your social media consultant. Projects can be priced hourly or fixed rate. Additionally, PeoplePerHour charges a 10 percent service fee on all payments. For $15, you can mark your job as an “Urgent” priority project to find talent that can start right away. Upgrade options include the Featured Job Upgrade, which gives your job listing prominent placement, or the Talent Scout Upgrade, which involves a specialist matching you with top talent. Both upgrade options are priced at $60. Find your social media consultant by posting a job on PeoplePerHour, searching through “Hourlies” for fixed-price jobs, or browsing through 5,000+ social media consultant profiles on PeoplePerHour. Filter results by specialty like Facebook, Twitter, YouTube, LinkedIn, and Instagram. Once you start a project, PeoplePerHour’s WorkStream platform makes it easy to manage projects, as well as pay and communicate with consultants over message or video call. PeoplePerHour has a large network of social media consultants who are available for short-term or long-term projects. There are three main ways you can hire social media consultants on PeoplePerHour, including “Hourlies,” posting a job, and browsing freelancer profiles. Additionally, the Talent Scout Upgrade is available if you’d prefer to have a specialist vet options and send you a list of the top candidates. Browsing Hourlies – These are fixed-price projects mostly for short-term services like designing images for your Facebook Business Page or creating a targeted Facebook advertising campaign. Posting a job – Post your job description and receive tailored proposals from qualified social media consultants. Browsing freelancer profiles – Refine results by location, rate, and ranking to find social media consultants who are a good fit for you. Getting a Talent Scout Upgrade – For a $60 fee, a PeoplePerHour specialist will review proposals for you and reach out to top talent to find the right fit for your social media project. PeoplePerHour has a platform called WorkStream, where you can communicate with your social media consultant via messaging or video call. Invoicing and payments are also submitted through this platform. You can manage multiple jobs in one place and even deposit funds in your PeoplePerHour Account to make multiple payments to more than one consultant. These features make PeoplePerHour the best fit for businesses that want to hire multiple consultants. You can get most of your FAQs answered online through PeoplePerHour’s Help Guides and community forum. Otherwise, you can send an email request for support through their website. If you run into any issues with your social media consultant, you can open a dispute at the time payment is requested. A representative from PeoplePerHour will review the issue and make a decision on whether payment should be made or not. PeoplePerHour has email support, but not phone support. Additionally, they don’t have a mobile app. If you want to work with a site that has both these features, consider using Upwork to find your social media consultant instead. Positive reviews mention that PeoplePerHour has a large pool of talent to choose from and good collaboration tools. The largest negative users mention is that the platform does not come with much customer support if you run into any problems. Read our PeoplePerHour review page for more details. Learn more about PeoplePerHour through their website. There, you can set up an account to post a job or browse profiles to find a social media consultant that’s right for you. Thumbtack is an online service that matches customers with local professionals. Before you start a project, Thumbtack has a quiz for you to fill out so that a social media consultant can quickly understand what you’re looking for and reach out to you directly. Choose Thumbtack if you want to hire a local social media consultant you can meet with in person, and don’t mind being contacted directly by potential consultants. It’s free to create a Thumbtack account and there are no hiring processing fees. You and your social media consultant negotiate a price for the services provided. 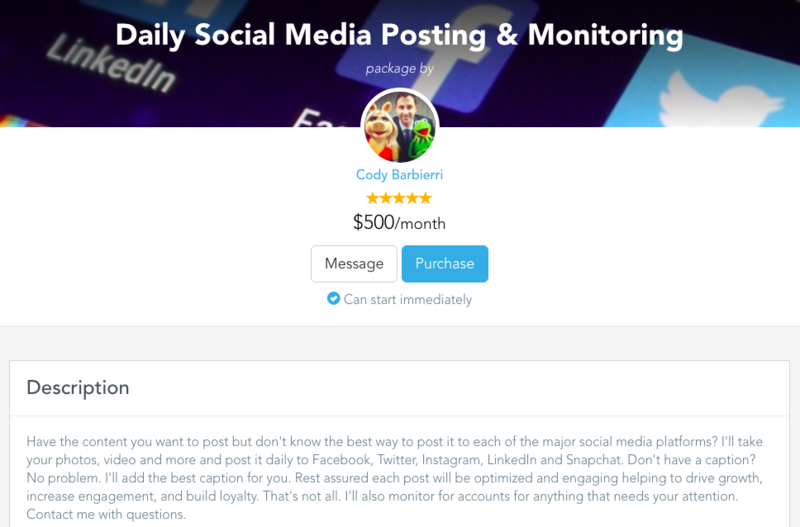 Some consultants will quote you a flat monthly fee, while others will customize their pricing after hearing more about the social media support you are looking for. 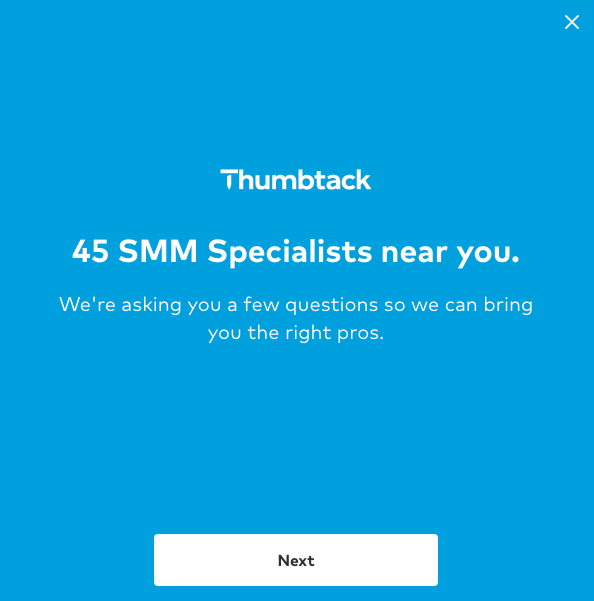 To start using Thumbtack, take their quick quiz to give social media consultants a better idea of what you’re looking for. Based on your answers, social media consultants will reach out to you with proposals. You can message freelancers, share files, and schedule meetings via the Thumbtack platform. Invoicing and payments can also be managed through Thumbtack, and you can download their free app to collaborate on the go. Thumbtack uses a quiz to gather information on what social media services you’re looking for, including the size of your business, where you’re located, your social media goals, which channels you’d like to target, and how you’d like to meet—in person or virtually. This makes it easier for social media consultants to see if they’d be a good fit. Once social media consultants reach out, you review their profile, ratings and reviews to see if you want to move forward. You can message consultants, exchange files, or schedule meetings through Thumbtack. Messaging is also available through their mobile app. Once a project is complete or you reach a project milestone, you can pay for services securely. Thumbtack has a Help Center with articles to answer FAQs. You can also send an email for support through their website. There is no phone support available. There is no phone support with Thumbtack. Additionally, as a newer, local-focused platform, you will likely have fewer options for social media consultants. If you are interested in a larger talent pool, as well as phone support, check out Upwork instead. Users who report positive experiences with Thumbtack reference that they were able to connect with quality professionals very quickly and get projects underway. Negative reviews for the site are largely from freelancers who have encountered unexpected price increases to use the service. Get started by visiting the Thumbtack website to fill out their quick quiz and receive proposals from social media consultants right away. Hiring a social media consultant for your business starts with knowing the best platforms available to find top talent. We reviewed dozens of options and found the best options in terms of pricing, features, access to talent, collaboration tools, and customer support. Based on our research, we believe Upwork is the best option for business owners mostly because of its large talent pool and sophisticated collaboration tools, including video messaging, mobile apps, and work tracking. Create a free Upwork account to find your social media consultant today.